Our #hack1000miles ambassador Joanna Holland celebrated passing through the finish flags in April. Joanna is exactly what this campaign is all about, because she has hit many personal milestones along the way with her “tricky” bay mare Summer Breeze, whom Joanna has owned for three years. “Summer is a proper mare; highly strung and dominating,” says Joanna. “When I first got her, she would nap, bronc and rear, which knocked my confidence. 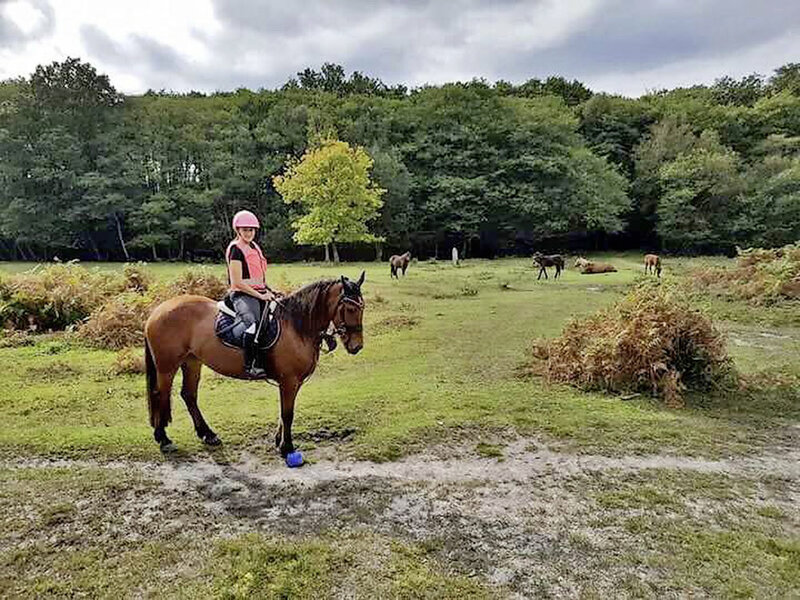 Joanna lives in Hampshire’s New Forest, which boasts enviable hacking. She and her seven-year-old mare regularly encounter wild ponies, donkeys and cows. Sometimes they come across pigs, too, which are released in the autumn to eat fallen acorns — a favourite feast for them, but they’re toxic to equines. “It’s been a wonderful place to ride and, because we’ve been able to do all these miles together, Summer can’t scare me now,” adds Joanna. Your Horse magazine’s campaign to get as many riders as possible to pledge to Hack 1000 Miles has really taken off this year. It’s not just about getting people like you out exploring the countryside on horseback either, we want you to improve your confidence, enjoyment and bond with your horse. All that and more can be achieved through hacking. Sign up for this free, fun challenge now using the link below and you'll receive exclusive competitions from our sponsors, a monthly newsletter and much more! Read more inspirational #hack1000miles stories in the current issue of Your Horse magazine, which is jam-packed with loads of great content every month. Find out what’s in the latest issue here.